The deal relating to reciprocal rights for British expats living in the EU and European expats living in the UK is top of the agenda Brexit negotiations, which kicked off in Brussels earlier today. The Brexit talks will take place across two separate stages with unpicking the issues surrounding the present situation and how to deal with the multitude of bureacratic issues that the separation will bring first on the agenda. These talks will take place across a month-long period, before stage two negotiations about the future relationship of the UK with the EU will begin on July 19. According to reports from Press Association (PA), a spokesperson for the UK’s Department for Exiting the European Union (EU) said the first aim was to move ahead on securing the rights of EU citizens in the UK and UK citizens living in the EU and “end the anxiety facing four million citizens”. “That has always been our first aim and that is what we will do. That is why we are pushing ahead with negotiations on Monday,” the spokesman said. As reported, even before Article 50 was triggered, UK prime minister Theresa May, (pictured left), met with the Spanish prime minister and government officials to discuss the expat conundrum. With Spain relying on income generated from the the estimated 500,000 Brits that live there, the Spanish prime minster has also moved on several occasions, making public statements to reassure those concerned. 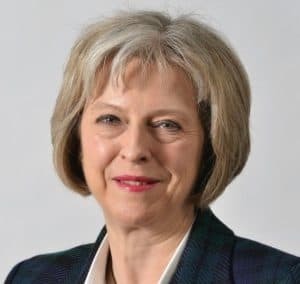 Despite positive promises of support on the matter May has has refused to unilaterally guarantee the residency rights of EU nationals living in Britain, until reciprocal rights are in place. According to research by the UK’s Office for National Statistics, an estimated 900,000 British citizens are living in other European Union countries, with Spain home to the largest number at 308,805. However, unofficial figures point that it is likely that as many as 1.2 million British citizens are living in the EU, with those living in Spain believed to be more than 500,000. There are 3.15 million EU nationals that live in the UK, with the largest group represented being Polish nationals at 916,000. UK expats living in the EU are primarily concerned about how Brexit will state pensions and reciprocal healthcare. The latter allows any EU citizen to visit any other member states and receive public healthcare, which is then claimed back from the respective government. It is expected that this ‘right’ will continue in some form but should Brexit talks stall, or UK PM May follow through with a ‘no deal’ threat, then millions could be in limbo as a result, with healthcare a major concern, particularly for those aged over 65. In May, as reported, a study by the UK health charity Nuffield Trust warned that to 200,000 expat pensioners across the EU may return to the UK if the country fails to secure reciprocal healthcare rights after Brexit. The cost of treating them on the NHS is likely to double from the current figure of £500,000 to £1bn, as soon as the UK officially leaves the EU, Nuffield Trust said. As reported, currently there are some 190,000 British pensioners estimated to be living in such popular European retirement destinations as Spain. Many of them get their healthcare paid for through what is known as the “S1 scheme”. At present, the UK puts around £500m into S1, according to the report. The worst-case scenario would be if the S1 scheme were to end without being replaced by a similar arrangement, and all of the expats currently receiving their healthcare in these other countries returned to the UK and ended up back in the waiting rooms of the already-straining-to-breaking-point NHS – forcing the UK to, effectively, find another half a billion pounds a year to look after them. In other words, the report explains, an additional 900 hospital beds and 1,600 nurses, “as well as doctors, other health professionals, and support staff such as porters” would be needed to look after the returning retirees, “equivalent to two new hospitals the size of St Mary’s Hospital in London”.